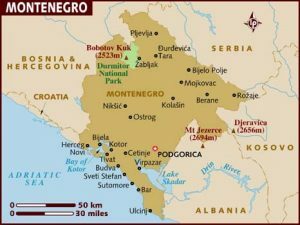 On 21 May 2006, the people of Montenegro voted in favour of ditching their union with Serbia and becoming an independent state, thus ending the last remaining alliance of the former Yugoslavian states. It’s a date that will go down in history in these parts and the referendum result means that this tiny Balkan region (about the same size as Northern Ireland) is set for an exciting period of progress in the near future, both in political and economic terms. And these big developments are widely expected to have a positive effect on the country’s property market. One of the mains reasons that Montenegrins backed becoming an independent state is that they felt that association with Serbia was holding back the nation’s aspirations to join the EU. And it looks as if they were right – the European Union’s expansion commissioner, Olli Rehn, has already stated that he now hopes to speed up efforts to bring Montenegro into the EU, with an agreement over closer economic and political ties with Montenegro scheduled to be agreed by the end of the year. But there are no cast-iron guarantees that Montenegro will be allowed to join the EU any time soon – especially considering that much of Eastern Europe is already queuing up to join the European alliance. Having said this, Montenegro isn’t sitting back and waiting on EU accession to start reaping the benefits of its stunning Mediterranean coastline, and the tourists are already being enticed to this beautiful spot in ever-increasing numbers. Visitor total s are going up year by year, and naturally overseas property investors are keen to tap into this burgeoning holiday hotspot. There are currently a few purpose-built developments that are worth taking a look at, but it may also be worth considering picking up one of the stunning historic Montenegrin buildings that are on the cheap and getting your teeth into a renovation project. Stone-built ruins in need of complete restoration are going for as little as £15,000, while a recently built one bed apartment will cost from around £20,000. 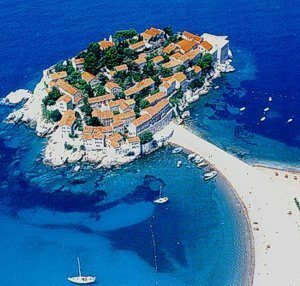 It’s an exciting time for Montenegro and it won’t remain in the background for long.